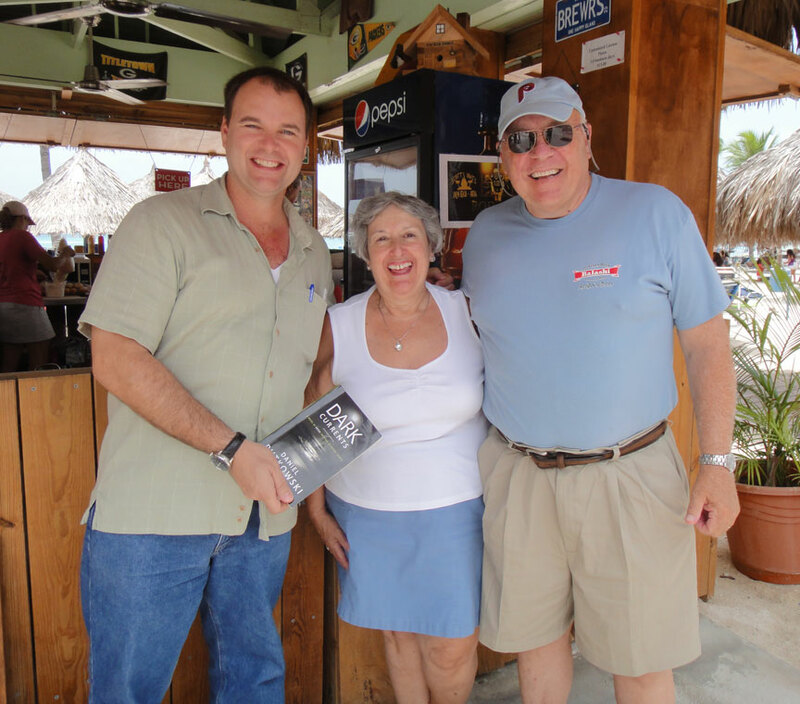 Rita and her husband have read all my books, including the latest, Dark Currents. Naturally, they’re big fans of Aruba, too, and happened to be on the island last week. Since they toted Dark Currents all the way from Connecticut, it was time for an impromptu book signing at Scott’s Brats, one of my favorite joints on Palm Beach. People are always smiling when they’re in Aruba. The island has that effect on you. So does a good book! Enjoy the reading.